The perception here indicators the ability to read word a significant word. The comprehension refers to the ability to make the authors or writers’ word conductive to useful through as read in context. The reaction is the action that requires consideration in connection with what has been by the reader. The integration refers to the ability comprehend or understand through concept towards he experienced background of the writer that can be useful as a part of the readers’ experiences. 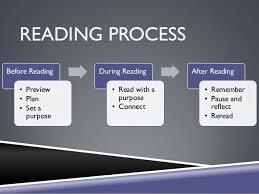 Belum ada tanggapan untuk "Reading Process"